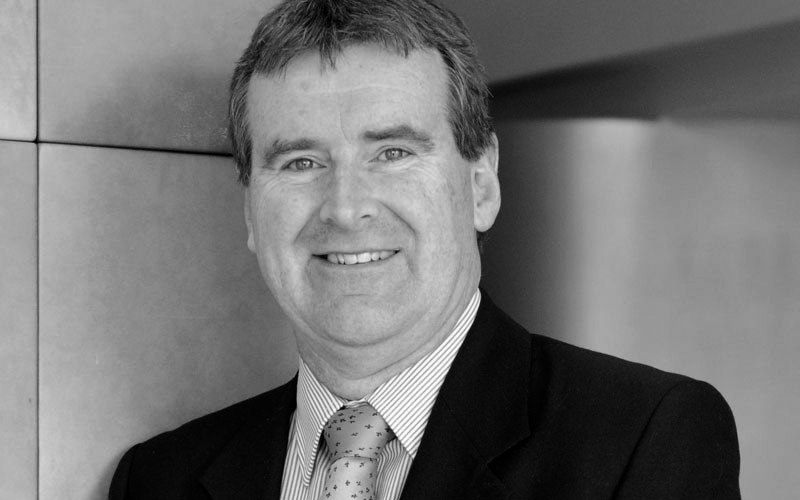 In mid-March this year James McGrath alerted readers to a new post by Tim O’Neill of History for Atheists, Jesus Mythicism 4: Jesus as an Amalgam of Many Figures, commending it for its take down of “amalgam Jesus” theorists for supposedly uncritically and emotionally concocting excuses to disbelieve in a historical Jesus. O’Neill inferred in his post that there was nothing “scholarly and credible” about parallels between a certain Jesus son of Ananias, a mad-man who Cassandra-like proclaimed doom for Jerusalem at the hands of the surrounding Roman armies, and the Jesus we read about in the Gospel of Mark. He also strongly inferred that drawing parallels between the assassinations of Lincoln and Kennedy provided ample justification for dismissing parallels between two written narratives about different Jesus figures. In response I have demonstrated that contrary to O’Neill’s attempt to inform readers “what is scholarly and credible and what is not” scholars have indeed engaged in scholarly discussions about what some of them describe as “astonishing” and “striking” parallels. I have also posted (in a post and another in a comment) on two scholarly responses debunking as logically fallacious the attempt to use the Lincoln-Kennedy parallels in the way O’Neill uses them. Now, in what I expect will be my final post demonstrating the scholarly status of discussion about the relationships between the two Jesus figures, the one in Josephus’s Jewish War and the other in the synoptic gospels, specifically the Gospel of Mark, I will copy the preface by Mahlon Smith to the publication of Ted Weeden’s thesis in Forum, Westar’s academic journal, Fall 2003. 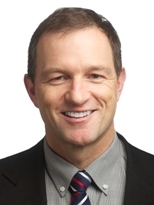 Mahlon H. Smith is the new editor of Forum. He recently retired as Associate Professor and former chair of the Religion Department at Rutgers University in New Brunswick, NJ. He is co-author with Robert W. Funk of The Gospel of Mark: Red Letter Edition (1990), and served as program chair of the Jesus Seminar (1991-1996). He created and maintains the academic website, Virtual Religion Network. Theodore J. Weeden, Sr. is author of an influential study of the composition of the first synoptic gospel, Mark—Traditions in Conflict (1971, 1979). From 1969-1981 he served as professor of New Testament at several schools that became partners in the Rochester Center for Theological Studies (Colgate Rochester Divinity School, Crozer Theological and St. Bernard’s Seminaries). He recently retired as senior pastor of Asbury United Methodist Church in Rochester, NY (1977-1995). This issue of FORUM represents a departure from our usual format in that it is devoted to publication of a single important provocative thesis. Ted Weeden’s carefully argued case that the canonical gospel narratives of Jesus of Nazareth’s confrontations with temple and Roman authorities in Jerusalem are modeled on the story of a later peasant prophet with the same given name, Jesus son of Ananias (Yeshu bar Hanania), has far-reaching ramifications for both the question of the historical Jesus and gospel criticism in general. Scholars have long proposed that the gospels conflate two originally distinct strands of tradition about Jesus: one stemming from Galilee, the other from Jerusalem. Weeden’s thesis goes further in claiming that they also confuse two distinct Jesuses and that the structure and many details of gospel accounts of Jesus in Jerusalem represent fictive imitation of the description of the later Jesus preserved in Josephus’ account of the Jewish War 6.300-309. In his original thesis Weeden avoided objection by any who date the gospels earlier than Josephus by assuming that the hypotext imitated by the gospel writers was the oral tradition about Jesus son of Ananias cited by Josephus rather than any written draft of the Jewish War itself. After discussion by the Jesus Seminar, however, Weeden revised his position to conclude that Josephus himself created the story of Jesus son of Ananias and that Mark used his account. If this is the case, Mark could have been composed no earlier than 80 ce. That argument is presented here in an epilogue to the original paper. As Weeden notes, other scholars have previously called attention to similarities between the gospels’ depiction of Jesus of Nazareth and Josephus report about Jesus son of Ananias. But this is the first detailed case for the evangelists direct dependence on the latter story using the classic Greek rhetorical convention of creative imitation (mimesis). This thesis has significance for both source and redaction criticism, for it identifies a story independently preserved in an extant text (Josephus Jewish as a source for the gospels of Mark, Luke and John. Widespread acceptance of Markan priority by scholars trained in literary criticism has led to important advances in understanding the composition of the later synoptics. But the lack of demonstrable literary models for the narratives of Mark and John has inevitably made interpretation of these authors’ redactional strategies more speculative and tentative. By tracing structural and thematic parallels between Josephus’ story of Jesus son of Ananias and Jesus of Nazareth’s confrontations with authorities in Jerusalem, not only in Mark but also in aspects of the Lukan and Johannine accounts that differ from Mark, Weeden builds his case for the widespread and enduring influence of the story of the second Jesus upon the early Christian imagination and makes Luke’s and John’s differences from the Markan narrative less arbitrary. For, if Luke and John altered Mark’s account to conform more to another hypotext, their departures from their presumed Markan paradigm cannot be credited to idiosyncratic tendencies of the gospel redactors. Weeden lays out his case in five sections. 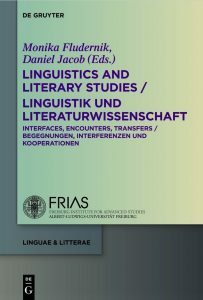 In part 1A on Markan dependence, he surveys assessments of parallels between the stories of the two Jesuses noticed by other scholars, adds others, and argues that the cumulative literary Gestalt in the sequence of these parallels suggests intertextuality between these accounts. Then, Weeden points out that tensions in Mark’s own narrative where the author abandons themes he had previously used which parallel the story of Jesus son of Ananias reflect Mark’s own Christological and pastoral interests. In part IB Weeden explores Mark’s identification of his subject as Jesus of Nazareth, concluding that this is a deliberate attempt to prevent confusion with the more recent prophetic figure named Jesus. Finally, he tests his theory of Markan imitation of the story of Jesus son of Ananias by weighing it against methodological criteria for identifying textual mimesis in Greek literature and citing examples of Mark’s creative reworking of stories of David. In part 2 Weeden explores Luke’s departures from Mark’s Passion narrative, lays out parallels between Luke’s account of Jesus’ trials and the story of Jesus son of Ananias, on the one hand, and the oracles of both Jesuses against Jerusalem, on the other, and argues that these indicate deliberate mimesis rather than mere coincidence. In part 3 Weeden examines parallels between distinctive features of the Johannine accounts of Jesus’ hearings by Judean and Roman authorities and the story of Jesus son of Ananias, including John’s emphasis on Jesus’ confrontations during feasts and his uncharacteristic emphasis on Jesus’ silence under cross-examination. In part IV Weeden summarizes his conclusions and details the implications of his findings. An addendum details his case for the northern Palestinian provenance of Mark’s gospel; and a subsequent epilogue reaches the conclusion that Josephus himself modeled the story of Jesus son on Ananias on the figure of Jeremiah and that Mark depended directly on Josephus’ account. Weeden’s thesis was the focal point of debate at the Fall 2003 session of the Jesus Seminar. Unfortunately, this issue has been delayed by the untimely death of FORUM’s editor, Daryl Schmidt, who devoted more than a decade to insuring the quality of the contents of this journal. Perhaps a kind reader might like to leave a comment on History for Atheists advising readers of what scholars deem to be “scholarly and credible“. And thanks to the very kind reader who sent me a copy of the Forum article. In my recent response to Tim O’Neill’s attempt to dismiss the significance of the parallels between Jesus son of Ananias in Josephus’s Jewish War and the Jesus of the gospels, in particular the Gospel of Mark, as without any scholarly merit (see Jesus Mythicism 4: Jesus as an Amalgam of Many Figures), I set out the evidence for at least ten reputable biblical scholars who take the parallels and the question of their significance seriously. O’Neill was inferring that Richard Carrier’s discussion was an unscholarly outlier but it clearly was not. I now have access to another scholarly discussion of those parallels so for the sake of completeness I can now add a couple more names of biblical scholars who have taken note and considered the significance of the parallels. The scheme of the proceedings against this man is strikingly similar to the case of Jesus. 1. A Jewish arrest followed by examination and beating. 2. Evaluation in religious terms, followed by delivery to the procurator. 3. Silence of the accused. 4. A savage procurator who yet refuses to execute the accused. 5. Jewish pressure, but resisted this time and followed by the man’s release after scourging. Both I. H. Marshall and other IBR Fellows raised the possibility, given the numerous verbal parallels, of some sort of literary relationship between J. W. 6.5.3 and the passion tradition. Craig Evans added his own argument that the parallels indicate similar judicial processes independently undergone by both Jesuses. Although this possibility was not vigorously pursued during our time of discussion, perhaps a brief reply would be useful. First, the “parallels” comprise no more than nouns of place and context and verbs that mark the various steps in the judicial and penal process. In other words, the parallels are precisely what one would expect in cases where routine actions are being described. Second, aside from the single parallel cluster where we have a common verbal root, preposition, and Roman governor as object, there are no instances of parallel sentences or phrases. Literary relationships are suspected when there is a high concentration of common vocabulary, especially phrases and whole sentences. In short, I think that the common vocabulary adduced above indicates common judicial and penal process, but not literary relationship. There is no indication that the story of one Jesus influenced the telling of the story of the other Jesus. For alternative views to those of Evans see the previous post. What is significant in this context is that Evans’ view is one of many found in the scholarly debate. Scholars do indeed consider the possibility of a literary or “oral tradition” relationship between the two Jesuses as worthy of scholarly discussion. Only someone uninformed could declare that attempts to argue for a literary relationship are unscholarly as per the History for Atheists post. Catchpole, D. R. 1970. 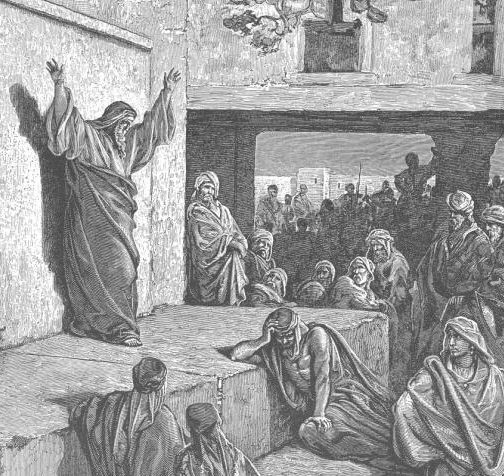 “The Problem of the Historicity of the Sanhedrin Trial.” In The Trial of Jesus. Cambridge Studies in Honour of C. F. D. Moule, edited by Ernst Bammel, 47–65. Naperville, Ill., A. R. Allenson. http://archive.org/details/trialofjesuscamb00moul. Evans, Craig A. 2001. Jesus and His Contemporaries: Comparative Studies. Boston: Brill. all the hallmarks of someone who has educated himself on the subject, without much idea of what is scholarly and credible and what is not. Scholarly discussion at XTalk (Crosstalk) on the parallels between Jesus ben Ananias and Jesus of Nazareth was active in 2003 and again in 2005. Despite O’Neill’s attempt to address one who in his eyes had not “much idea of what is scholarly” and “credible” in the eyes of scholars, O’Neill himself fails to indicate that he has any awareness of the relevant scholarly discussions, let alone that those scholarly discussions essentially undermine almost everything he writes. His own attempts at take-down arguments have gained no traction among scholars engaged with this particular question. In this post I will provide the evidence from scholars that they do find the parallels significant and worthy of serious discussion with some suggesting that one Jesus was indeed in part based on the other. Here is the Josephus passage with the key areas to be compared in red. But, what is still more terrible, there was one Jesus, the son of Ananus, a plebeian and a husbandman, who, four years before the war began, and at a time when the city was in very great peace and prosperity, came to that feast whereon it is our custom for every one to make tabernacles to God in the temple, began on a sudden to cry aloud, “A voice from the east, a voice from the west, a voice from the four winds, a voice against Jerusalem and the holy house, a voice against the bridegrooms and the brides, and a voice against this whole people!” (Jer.7:34 LXX) This was his cry, as he went about by day and by night, in all the lanes of the city. However, certain of the most eminent among the populace had great indignation at this dire cry of his, and took up the man, and gave him a great number of severe stripes; yet did not he either say any thing for himself, or any thing peculiar to those that chastised him, but still went on with the same words which he cried before. Hereupon our rulers, supposing, as the case proved to be, that this was a sort of divine fury in the man, brought him to the Roman procurator, where he was whipped till his bones were laid bare; yet he did not make any supplication for himself, nor shed any tears, but turning his voice to the most lamentable tone possible, at every stroke of the whip his answer was, “Woe, woe to Jerusalem!” And when Albinus (for he was then our procurator) asked him, Who he was? and whence he came? and why he uttered such words? he made no manner of reply to what he said, but still did not leave off his melancholy ditty, till Albinus took him to be a madman, and dismissed him. Now, during all the time that passed before the war began, this man did not go near any of the citizens, nor was seen by them while he said so; but he every day uttered these lamentable words, as if it were his premeditated vow, “Woe, woe to Jerusalem!” Nor did he give ill words to any of those that beat him every day, nor good words to those that gave him food; but this was his reply to all men, and indeed no other than a melancholy presage of what was to come. This cry of his was the loudest at the festivals; and he continued this ditty for seven years and five months, without growing hoarse, or being tired therewith, until the very time that he saw his presage in earnest fulfilled in our siege, when it ceased; for as he was going round upon the wall, he cried out with his utmost force, “Woe, woe to the city again, and to the people, and to the holy house!” And just as he added at the last, “Woe, woe to myself also!” there came a stone out of one of the engines, and smote him, and killed him immediately; and as he was uttering the very same presages he gave up the ghost. Tim O’Neill associates the argument with Richard Carrier and appears not to be aware that Carrier was presenting a well-known observation among professional scholars. 86. Theodore Weeden, ‘Two Jesuses, Jesus of Jerusalem and Jesus of Nazareth: Provocative Parallels and Imaginative Imitation’, Forum N.S. 6.2 (Fall 2003), pp. 137- 341; Craig Evans, ‘Jesus in Non-Christian Sources’, in Studying the Historical Jesus (ed. Chilton and Evans), pp. 443-78 (475-77). Given the tone of Tim O’Neill’s study up to this point a reader will expect to be led to a conclusion that “Carrier’s parallels” (they are in fact the parallels presented by scholars in the peer-reviewed scholarly literature) are going to be proved nonsensical or at best without significance. Will O’Neill’s rebuttals equally apply to two highly notable New Testament scholars, Weeden and Evans? Once more on Josephus, and questions arising . . . .
As a follow up on my previous post about the care we need to take in judging certain passages in Josephus’s Antiquities to be inauthentic I quote below a small section from “‘Echo of a Whisper’. The Uncertain Authenticity of Josephus’ Witness to John the Baptist”, a chapter by Clare Rothschild in Ablution, Initiation, and Baptism: Late Antiquity, Early Judaism, and Early Christianity (2011). All bolding and line-breaks are mine. I kept a careful record of all that went on under my eyes in the Roman camp, and was alone in a position to understand the information brought by deserters. Then, in the leisure which Rome afforded me, with all my materials, in readiness, and with the aid of some assistants for the sake of the Greek (χρησάμενός τισι πρὸς τὴν Ἑλληνίδα φωνὴν συνεργοῖς), at last I committed to writing my narrative of the events (ET: H. J. St. Thackeray). H. St. J. Thackeray even refers to this secretary as “hack!” See Josephus The Man and The Historian, 132. This statement refers to B.J., but B.J. became a source for A.J. Cf. also Ant. 1.7 where Josephus expresses hesitation over “rendering so vast a subject into a foreign and unfamiliar tongue” (ET: Thackeray). This thesis is old, but not, as many assume, debunked. Mason, with Rajak, rejects Thackeray’s ‘secretaries’ theory (referring to it as “rightly rejected”) at Josephus, Judea and Christian Origins, 233–234. However, earlier in this essay collection (with specific but not exclusive reference to B.J.) Mason simply prefers a modified version of the Thackeray’s “literary assistants” as “co-workers and literary friends” (συνεργοί, C. Ap. 1.50) at Josephus, Judea and Christian Origins, 56 incl. n. 43. In Josephus’s enlistment of co-workers (συνεργοί) or literary friends in the capital for this massive project, we again witness a social affair and not the work of an isolated author. Another point raised by this notice concerns Josephus’s ability in Greek, since the collaborators helped particularly with the Greek sound (or possibly “language”: φωνή) (56). Josephus can justly be called the author, in the true sense of this term, of the works ascribed to him: even when he borrows and even when he uses assistants, he impresses his own personality upon his work (Novelistic Elements in the Writings of Flavius Josephus), 145.
idem, Joseph Ben Matthia and Flavius Josephus. Nodet, La Bible de Josèphe. In contrast, D. R. Schwartz argues for the presence of sources (and likewise absence of authorial or other editing) in the final volumes of A.J. ; see Schwartz, Agrippa I: The Last King of Judaea, 2; idem, Josephus and Nicolaus on the Pharisees, 157–171. Finally, Schwartz does not explain why the very section of Antiquities he would like to assign to incompatible sources, books 17 to 19, exhibits an impressive, if bizarre (mock-Thucydidean), stylistic conformity (Josephus, Judea, and Christian Origins, 112; Thackeray is acknowledged in n. 58). It is an uncomfortable fact for the more ambitious varieties of source criticism that Josephus has the authorial habit of repeating and contradicting himself, and of varying his terminology. These oddities call for analysis, but they may result from a variety of causes (e.g., sloppiness, rhetorical artifice, multiple editions, copyist’s interventions, and yes, sources); they do not ohne weiteres imply incompatible sources (112). See also Shutt, Studies in Josephus, 68–75; Rajak, Josephus: The Historian and His Society, 235. This essay’s question of the authenticity of the Baptist passage is related, but not identical to the question of the historicity of Josephus’ writings in general. The latter topic is of intense interest to the scholars named in this note as well as others; see Mason, Josephus, Judea, and Christian Origins, 105–113. 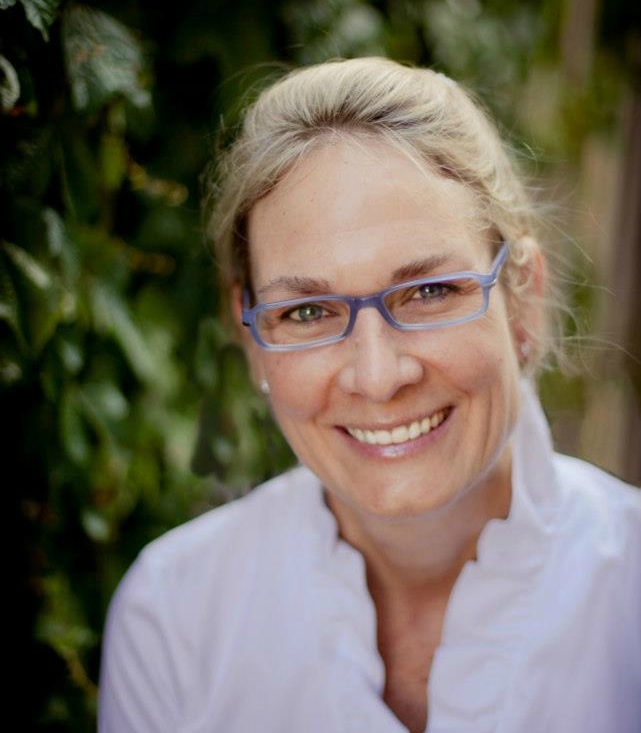 Rothschild, Clare K. 2011. “‘Echo of a Whisper’. The Uncertain Authenticity of Josephus’ Witness to John the Baptist.” In Ablution, Initiation, and Baptism: Late Antiquity, Early Judaism, and Early Christianity, edited by David Hellholm, Tor Vegge, Øyvind Norderval, and Christer Hellholm, 255–90. Berlin ; New York: De Gruyter, 255–90. Of special interest to many readers are questions over the authenticity of passages about Jesus and John the Baptist in Josephus’s Antiquities. It introduces details in which Josephus appears to have no interest in the rest of his work. But what if Josephus himself was responsible for those interpolations? A study by Vered Noam sets out evidence for thinking that Josephus was responsible for a series of additions to an otherwise completed narrative history. We know that textual “corruptions” were very common throughout antiquity (for some details see Forgery in the ancient world) so the question that we need to ask as we read Antiquities is: Is this interpolation by Josephus or some subsequent copyist? That Josephus intended such safe criticism is likely because he employs other techniques from the same manual, such as hyperbolic praise of current rulers. His Titus is endowed with so much πρόνοια (“forethought”) and έλεος (“gentle commiseration”) that he appears an improbable humanist and even incompetent general, frequently tricked by the wily Judaeans (BJ 4.84-120; 5.316, 329; 6.12, 29-32, 78-9, 152-6, 183-4, 190, 214-28, 356). Mason, Steve. 2009. “Of Despots, Diadems and Diadochoi: Josephus and Flavian Politics.” In Writing Politics in Imperial Rome, edited by W. J. Dominik, J. Garthwaite, and P. A. Roche, 347–48. Leiden ; Boston: Brill. Just as Josephus portrayed a thug as a saint so the evangelists portrayed another thug, Pilate, as so good natured, so innocent, that those “wicked Judaeans” pressured him into crucifying Jesus against his will. Is Josephus Evidence that a Messianic Movement caused the Jewish War? A historian specializing in the study of Josephus, Steve Mason, presents a case that the war that led to the destruction of Jerusalem and its temple was not prompted by any messianic movement among the people of Judaea. Rather, Mason suggests that the prophecy of a ruler to come out of the east and rule the entire world was a product of hindsight and that there is little reason to think that there was a “messianic movement” propelling the Jews to rebel against Rome. 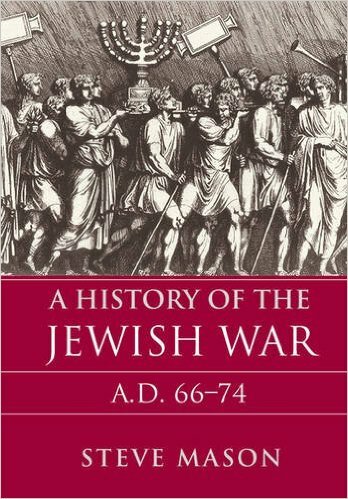 I can’t hope to cover the full argument set out by Mason in A history of the Jewish War, AD 66-74 in a single post but I will try to hit some key points from pages 111 to 130 here. To begin. It is a misunderstanding to think that we can read the works of Josephus as if they were a chronicle of facts happily shedding light on the background to the rise of Christianity. To get the most reliable data from Josephus we need to study his works in the context of other historical writings of his day. In that context it is evident that Josephus is writing a “tragic history” — a narrative that he presents as a tragedy, a form of narrative with which his Greco-Roman audience was familiar. As a tragedy Josephus seeks to elicit tears of sympathy from his audience by using all of his rhetorical skills to portray graphic suffering and misfortune. In War Josephus opens with the proud Herod whose hubris is brought low by the misfortunes that follow. The audience knows how the story ends and knowing that only adds to their awareness of the tragedy in each scene. The irony of temple slaughter at Passover time would have been as clear to Roman as to Jewish readers: Passover was known to have been the festival of liberation. A tragedy needs villains and Josephus fills his narrative with an abundance of “robbers” or “bandits” who polluted the temple, just as per Jeremiah 7:11 said they would. 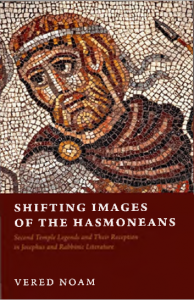 Josephus blends Jewish and Greek literary motifs in his tragic narration (Mason, pp. 114-121). A stock motif in tragic narrative were omens of imminent disaster and ambiguous prophecies that would mislead the hapless victims. An email update this morning informs me that linguist Paul Hopper has uploaded to his academia.edu page another copy of his earlier paper, A Narrative Anomaly in Josephus: Jewish Antiquities xviii:631, that was published in 2014 in Linguisitics and Literary Studies. There is now a new link to the paper. The paper is a few years old now and I’ve posted about it before but no matter at all: the email notice this morning gives me another opportunity to bring it to the attention of readers not aware of it. In my previous post, Fresh Evidence: The Forged Jesus Passage in Josephus, I quoted the abstract and conclusion of Paul Hopper’s paper. Here I quote a few lines on different aspects in the body of the paper. But Pilate undertook to bring a current of water to Jerusalem, and did it with the sacred money, and derived the origin of the stream from the distance of two hundred furlongs. However, the Jews were not pleased with what had been done about this water; and many ten thousands of the people got together, and made a clamor against him, and insisted that he should leave off that design. Some of them also used reproaches, and abused the man, as crowds of such people usually do. So he habited a great number of his soldiers in their habit, who carried daggers under their garments, and sent them to a place where they might surround them. So he bid the Jews himself go away; but they boldly casting reproaches upon him, he gave the soldiers that signal which had been beforehand agreed on; who laid upon them much greater blows than Pilate had commanded them, and equally punished those that were tumultuous, and those that were not; nor did they spare them in the least: and since the people were unarmed, and were caught by men prepared for what they were about, there were a great number of them slain by this means, and others of them ran away wounded. And thus an end was put to this sedition. — Antiquities, 18, 3, 2.
and the bloody suppression of the riot. At each point we know not only what the actors did, but why they did it, and what the causes and effects of their actions were. The Aquifer episode, like the other episodes involving Pontius Pilate, has an event structure. 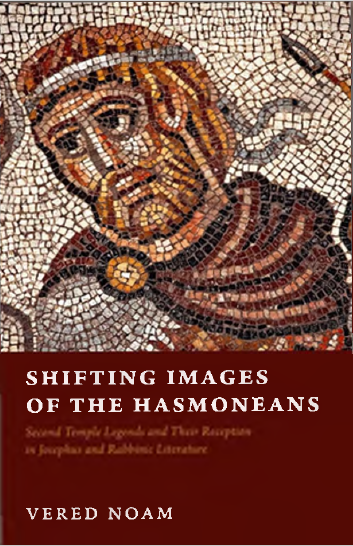 Time in these episodes is kairotic, that is, it is qualitative time (kairos) experienced by individual actors.9 . . . .
By contrast, the temporality of the Testimonium is chronic (chronos), that is, it is part of the general temporality of human history. It takes place in a more remote perspective of slow changes and general truths; it is temps conjoncturel, the time of social movements and social reorganization. It has a bird’s-eye view of its subject, scanning the entire life of Jesus and his influence in no particular order, anachronistically (Genette 1980:34). . . . . So the Testimonium belongs to a different kind of time from the rest of the Jewish Antiquities. The temporality of the Testimonium derives from its presumed familiarity to its audience, which in turn is more compatible with a third century or later Christian setting than a first century Roman one. . . . . The next point is a comparison of the Testimonium‘s “emplotment” with the preceding Pilate episodes. The Aquifer story is a narration in which a situation is established and the characters interact, and there is a resolution. It has a plot in the way that recent narrative theorists have stipulated. . . . The same is true of the other two Pilate episodes. . . . . The careful crafting of emplotment is an essential part of Josephus’s skill as a historian. The Testimonium has no such plot. From the point of view of its place in Josephus’s Jewish Antiquities, it does not qualify as a narrative at all. The Testimonium could not be understood as a story except by someone who could already place it in its “intelligible whole”, the context of early Christianity. The Testimonium gains its intelligibility not through its reporting of novel events but by virtue of being a “repetition of the familiar” (Ricoeur 1981:67) – familiarity here meaning familiarity to a third century Christian readership, not to a first century Roman one.The “intelligible whole” posited by Ricoeur as the indispensable foundation for a story does not lie, as it does for the other events told by Josephus in this part of the Jewish Antiquities, in the larger narrative of the interlocking destinies of Rome and Jerusalem, but instead in the Gospel story of the Christian New Testament, and it is from the Gospels, and the Gospels alone, that the Jesus Christ narrative in the Testimonium draws its coherence and its legitimacy as a plot, and perhaps even some of its language. It is not just that the Christian origin of the Testimonium is betrayed by its allegiance to the Gospels, as that without the Gospels the passage is incomprehensible. Once again to draw on Paul Ricoeur, the Testimonium does not so much narrate to first century Romans new events, but rather reminds third century Christians of events already familiar to them. And then a look at genre, and a comparison between the TF and credal formulas vis a vis the historical narrative of Josephus. The Testimonium is anchored in a radically different discourse community from that of the rest of the Jewish Antiquities. The Testimonium reads more like a position paper, a party manifesto, than a narrative. Unlike the rest of the Jewish Antiquities, it has the same generic ambiguity between myth and history that Kermode (1979) has noted in the Gospels as a whole. . . . . It is, in other words, a political interpolation. It serves to validate the Christian claim of the crucifixion of the sect’s founder during Pilate’s administration, and, by positioning its text within that of the genre “history”, with its ethos of truth, to warrant the historical authenticity of the Gospels. But told as a series of new events to a first century Roman audience unfamiliar with it, the Testimonium would have been a bizarre addition and probably quite unintelligible. Now there was about this time Jesus, a wise man, if it be lawful to call him a man; for he was a doer of wonderful works, a teacher of such men as receive the truth with pleasure. He drew over to him both many of the Jews and many of the Gentiles. He was [the] Christ. And when Pilate, at the suggestion of the principal men amongst us, had condemned him to the cross, (9) those that loved him at the first did not forsake him; for he appeared to them alive again the third day; (10) as the divine prophets had foretold these and ten thousand other wonderful things concerning him. And the tribe of Christians, so named from him, are not extinct at this day. — Antiquities, 18, 3, 3.
the biblical prophets foretold many details of his life. Less specifically credal, but similar in character to the creeds, are its length (77 Greek words, comparable to the 76 words of the Latin Apostles’ Creed and the 91 words of the Greek Apostles’ Creed)11 and the sycophantic tone of the confirmed believer (“had a following among both Jews and Gentiles”, “appeared to them alive after the third day”, “the biblical prophets foretold his many miracles”). The unmotivated introduction of Jesus immediately after the openingginetai (“there happened”) is also structurally reminiscent of credal formulas such as credo in unum deum etc. . . . . . . 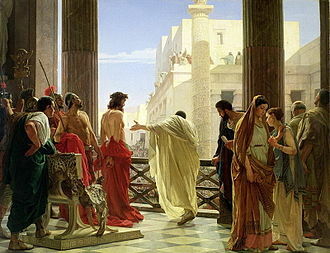 The Testimonium reflects what had by the third century CE become a commonplace of Christianity: that culpability for the death of Jesus rested with the Jews.12 It is made clear in the Testimonium that Pilate’s agency is indirect: the true agents are “the first men among us”, the Jewish leaders who effect the “indictment” of Jesus, Pilate’s role being limited to pronouncing the death sentence. The “among us” is unequivocal: responsibility for the death of Jesus lies with Josephus’s fellow-countrymen, the Jews, not with the Romans, and in this too the Testimonium is hard to reconcile with Josephus’s denunciation of Pilate’s crimes against the Jews. The Josephus of the Testimonium is represented as aligning himself with the Christians (versus the Jews) and admitting that the blame for the crucifixion of Jesus the Messiah lies with the Jews; it need hardly be said that such an admission on Josephus’s part is inconceivable. But the above is taken from only the last three pages of Paul Hopper’s twenty plus page article. See the link below to download the paper or read it online. Hopper, Paul. 2014. 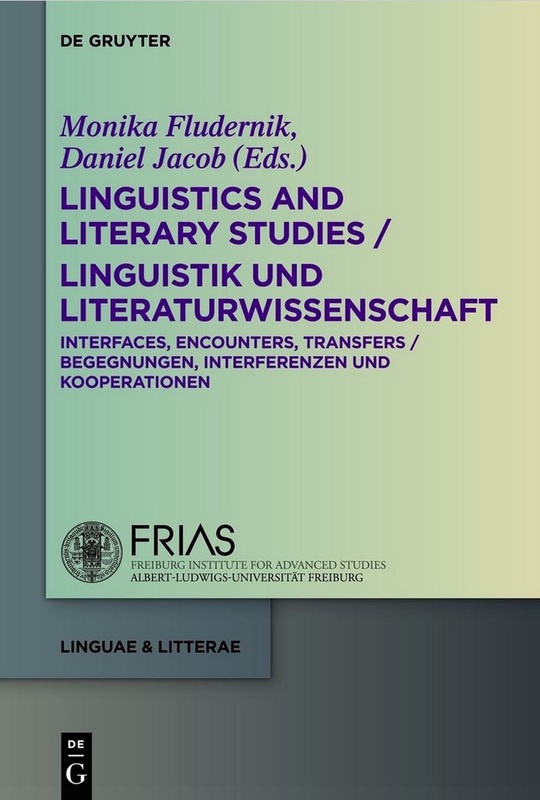 “A Narrative Anomaly in Josephus: Jewish Antiquities xviii:63.” In Linguistics and Literary Studies / Linguistik und Literaturwissenschaft, edited by Monika Fludernik and Daniel Jacob, Bilingual edition, 147–69. Linguae & Litterae, Book 31. Berlin ; Boston: De Gruyter. https://www.academia.edu/37321029/A_Narrative_Anomaly_in_Josephus_Jewish_Antiquities_xviii_63. Josephus Scapegoats Judas the Galilean for the War? This post is the sequel to Did Josephus Fabricate the Origins of the Jewish Rebellion Against Rome? It is my take on Professor James S. McLaren’s chapter, “Constructing Judaean History in the Diaspora: Josephus’s Accounts of Judas” in Negotiating Diaspora: Jewish Strategies in the Roman Empire. In the previous post we covered McLaren’s analysis of the contexts, style and contents of the respective references to Judas the Galilean in both Wars (written shortly after the fall of Jerusalem in 70 CE) and Antiquities (completed some twenty years later). McLaren’s next step is to assess the situation (both geographical and socio-political) of the author of these references. 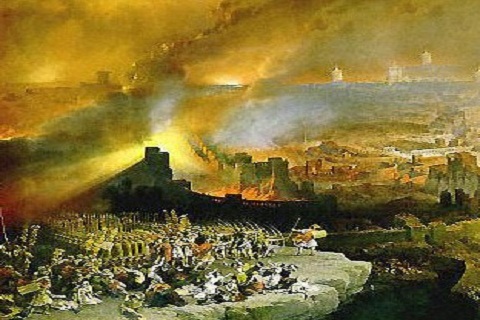 When the war broke out Josephus was in Jerusalem. He was in a position to have a fair idea of what was going on. The war itself was initiated by the priests of Jerusalem refusing to sacrifice to the Roman emperor. 25. The view that it was Jerusalem-based aristocratic priests who were instrumental in starting and leading the revolt concurs with the general picture of ‘native’ revolts in the Roman Empire (Dyson 1975 = “Native Revolt Patterns in the Roman Empire”, ANRW II.3: 138-175). The silver coinage issued in the first year of the revolt helps confirm the crucial role of priests in instigating and leading the revolt. See McLaren 2003 = “The Coinage of the First Year as a Point of Reference for the Jewish Revolt (66-70 CE)”, Scripta Classica Israelica 23:135-52. McLaren insists that Josephus himself was one of the rebels who initiated the break with Rome. In 66 CE he was not a moderate trying to soothe ruffled feathers or a reluctant participant. 26. Obviously there are pitfalls with any interpretation that incorporates an argument from silence. However, given that the only eyewitness account is trying to suppress what actually happened, the absence of direct evidence is no surprise. If anything, what could be seen as most puzzling is why there is any reference to the war cry at all; surely no mention at all would be better. Clearly that would be one way of dealing with the problem, unless others were still alive who could counter the oversight with their own version, especially as Josephus had no guarantee that his would be the only account written. Another approach would be to find a scapegoat, as suggested here. McLaren argues that the conflict sprang up quickly. It was not apparently an eventual eruption that had been building up through pressures for decades prior. Human folly of the moment was more likely the culprit. That coins were minted to mark the beginning of the revolt and the decision to stop sacrifices for Rome are strong indications that the Temple establishment was a principal actor. The symbols and inscriptions on the coins and Josephus’s discussions elsewhere (especially in Apion) point to the priests leading the revolt under with the ideological belief in the rightness of God’s rulership through his priests. Josephus, after the war as a de facto captive in Rome, transferred the slogan to a group as far from himself and his associates as possible. Josephus needed to justify the mercy shown to him in allowing him to live and prosper anew in the city of his nation’s destroyers so his the former ideological rallying cry of “no master but God” had to be sloughed off and planted on others. Did Josephus Fabricate the Origins of the Jewish Rebellion Against Rome? Josephus lays the blame for the Jewish rebel movement squarely on the shoulders of Judas the Galilean who led some sort of movement to oppose Roman taxes around the time of the infancy of Jesus — 6 CE. From this Judas arose what Josephus labels the “Fourth Philosophy”. The other three were the Pharisees, the Sadducees and the Essenes. The Fourth Philosophy is depicted as an undesirable conglomeration of upstart rebels who brought down ruin upon their nation. Recently I was posting about my doubts concerning the evidence for Jewish messianic movements prior to the First Jewish War (66-73 CE) and Giuseppe alerted us to a study by James S. McLaren in Negotiating Diaspora: Jewish Strategies in the Roman Empire. McLaren’s chapter is “Constructing Judaean History in the Diaspora: Josephus’s Accounts of Judas“, pages 90-107. Thanks, Giuseppe. Until I read that chapter I never quite knew what to make of Judas the Galilean because though scholars often say he led the first military rebellion against Rome I have not been able to find unambiguous evidence for that claim in Josephus. It seemed some historians were simply repeating the hearsay of their guild. Hence I have held back from commenting on him when I have discussed other rebels and bandits on the Judean stage either side of the time of Jesus. McLaren’s chapter is the first work I have read that squarely confronts and addresses the ambiguities and inconsistencies that have bothered me in Josephus’s account. Conclusion: Josephus created Judas the Galilean as a foil to bear the responsibility for the humiliation of the Jewish defeat. I’m not saying that Judas did not exist (though he may not have) but that Josephus has been forced to modify his account with each retelling of his role in starting the rebellion. These variations indicate that Josephus is creatively rewriting history to deflect blame for the war from his own class of aristocratic priests. Now McLaren is working like a real historian — a welcome change from some of the tendentious works we have discussed elsewhere. He examines the nature of his source material before deciding to take its claims at face value — and that means literary analysis . . . This discussion will be presented in three parts. In the first, I offer an analysis of the textual location of the references to Judas. The second part will be devoted to a reassessment of the geographical and socio-political location of Josephus in 66 CE and in the years that followed the revolt. The third and final part will outline how these locations result in Judas being presented as a scapegoat by Josephus. Further, he understands the necessity of evidence external to his source material for corroboration. Who he was, what he did and what he advocated, if anything at all, need to be established afresh, outside the framework provided in War and Antiquities. These are the methodological principles I have been saying ought to be applied to the gospels even if the result might lead to the conclusion that a central character has possibly been a creation of the author rather than a true historical figure. I notice that McLaren’s background is strong in ancient history and not restricted to biblical studies. So what are McLaren’s arguments? I’ll take them in the same order as McLaren with this post covering McLaren’s analysis of the respective locations of Josephus’s references to Judas. While we have “sacred space” and religious violence in our thoughts, it’s high time I posted one more detail I wish the scholars who know better would themselves make more widely known. The population of Judea was not exiled at the conclusion of the war with Rome when the second temple was destroyed in 70 CE. Nor was it exiled after the second (Bar Kochba) revolt 132-135 CE. The generations following that revolt witnessed the “golden age” of Jewish culture in the Palestine (as it was then called) of Rabbi HaNasi, the legendary compiler of the Mishnah. In the seventh century an estimated 46,000 Muslim warriors swept through Judea and established liberal policies towards all monotheists. Arabs did not move in from the desert to take over the farmlands and become landowners. The local Jewish population even assisted the Muslims against their hated Byzantine Christian rulers. While the Jews suffered under the Christian rulers, no doubt with some converting to Christianity for their own well-being, many resisted as is evident from the growth in synagogue construction at this time. Under Muslim rule, however, Jews were not harassed as they were under the Christians, yet there appears to have been a decline in Jewish religious presence. How can we account for this paradox? Given that Muslims were not taxed, it is reasonable to assume that the decline in Jewish religious constructions can be explained by many Jews over time converting to Islam. Certainly David Ben-Gurion and Yitzhak Ben-Zvi in 1918 published their hopes that their Muslim Jewish counterparts in Palestine might be assimilated with their immigrant cousins. There never was a mass exile of Jews from Judea/Palestine. At least there is no historical record of any such event. Believe me, for years I looked for it. In past years my religious teaching told me it had happened, but when I studied ancient history I had to admit I could not see it. Sometimes historian made vague generalized references to suggest something like it happened, but there was never any evidence cited and the evidence that was cited did not testify to wholesale exile. It was anti-semitic Christian leaders who introduced the myth of exile: the “Wandering Jew” was being punished for his rejection of Christ. Justin Martyr in the mid second century is the first to express this myth. So where did all the Jews that Justin knew of come from if they were, in his eyes, “a-wandering”?